Thanks to Polartec, a long time sponsor of the Mt. 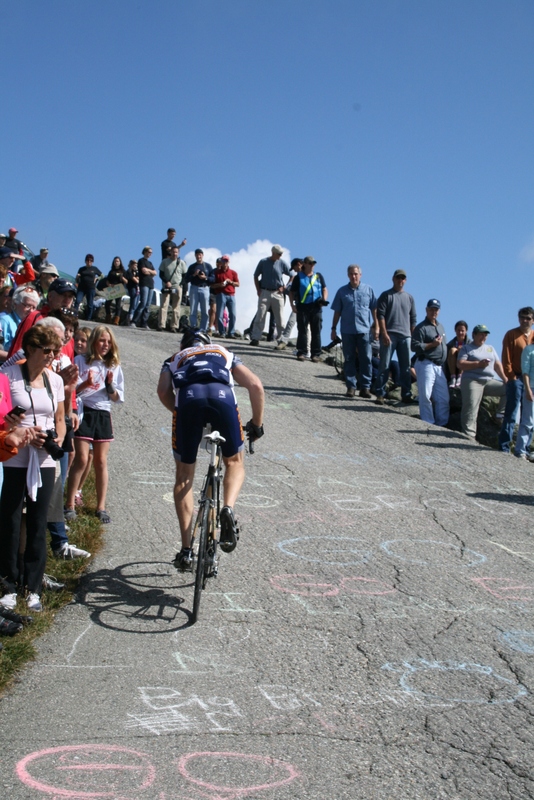 Washington Auto Road Bicycle Hill Climb, I had the chance to race the infamous hill climb on Saturday. 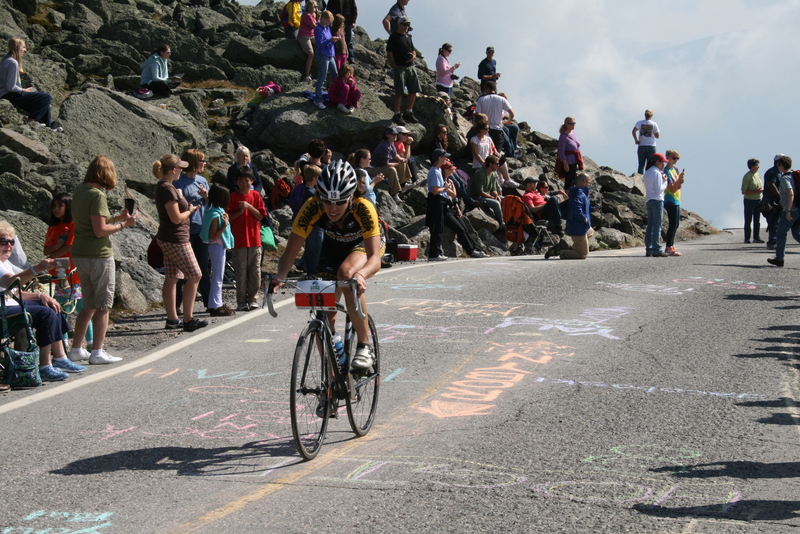 Despite spending much of my summers as a child in New Hampshire, I’ve never been to the summit of Mt. Washington before. I had no idea just how steep the road actually is. Racing a course sight unseen can sometimes be an advantage because I just have to keep going as hard as I can – at least that’s what I told myself before the race. I spoke to a few people who had raced here before and they all told me to use easier gearing. I managed to borrow a compact crank set, but next time I will make sure to find an easier cassette as well. I started in the Top Notch group and quickly realized I was going to spend almost the entire race in my easiest gear. I battled with a singlespeeder for much of the 7.4 miles and 4,500 feet of climbing, thinking he was the smart one for not carrying the extra weight up the mountain. Right from the start I slipped into third place among the women and I kept it right to the finish line. I never saw another woman coming from behind however I knew that one had to be right there and sure enough a woman finished 28 seconds back. 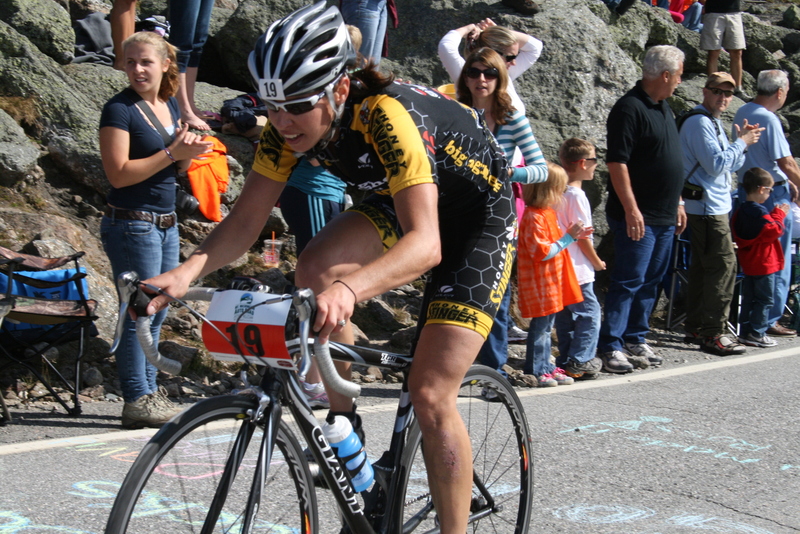 Last year’s winner, Marti Shea, finished on the top step and her closest rival, Kristen Gohr finished in second again. I’m very impressed how fast these women are and hope I can be closer to them next year. Speaking of next year, I hope to be back and hope I can improve my time. Knowing the course will be much better and maybe, just maybe, the weather can be as perfect as it was this year. A special thanks goes to Ruthann Brown of Polartec for motivating me to race and treating me like a queen all weekend! Suffering to the finish right after the 22% grade. 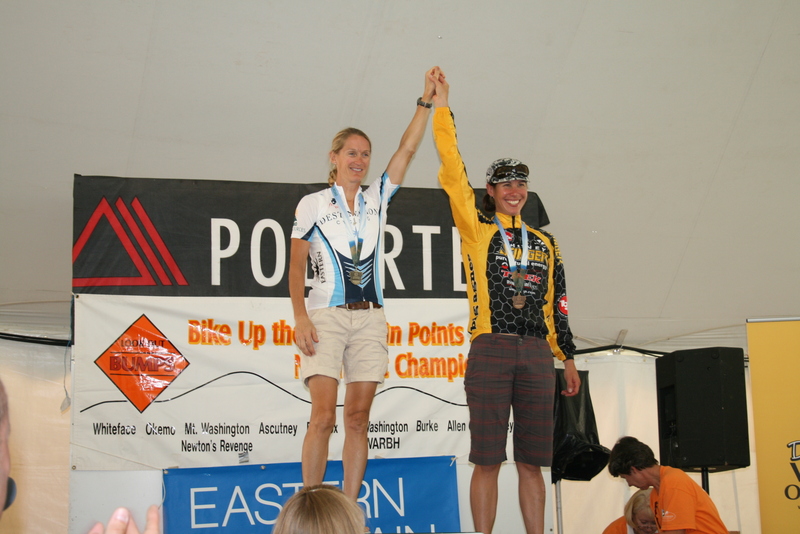 Women's winner Marti Shea and myself on the podium. 2nd place Kristen Gohr was hiking down. A woman after my own heart. 22% grade looks like a wall in person.